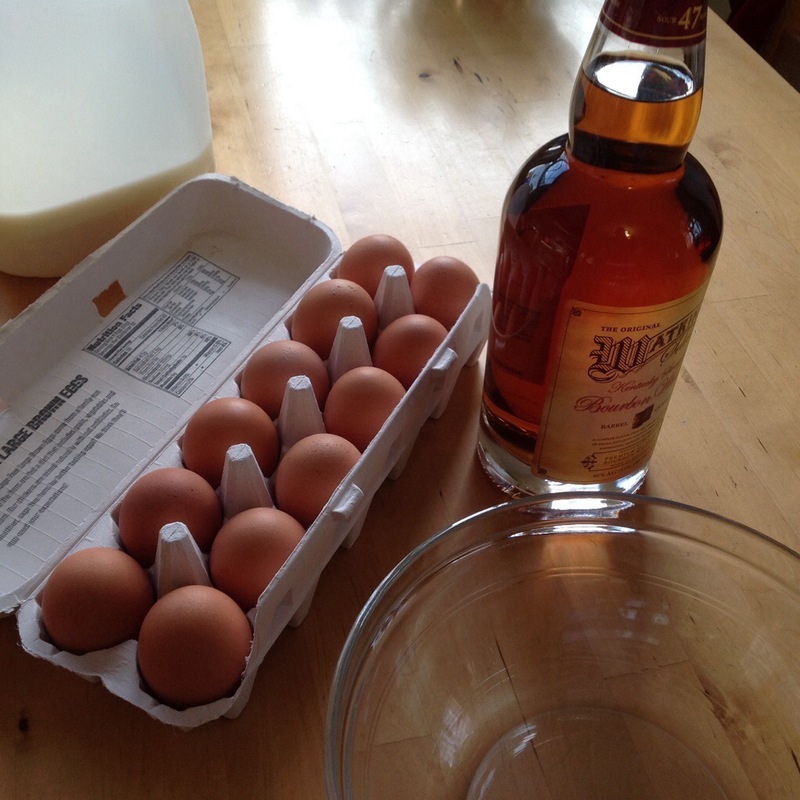 I Just started a batch of 3-week eggnog to have on hand for Christmas festivities later this month. This particular recipe was inspired by a combination of factors: Ruhlman has been talking up his aged eggnog for years now, and it’s one of those things I’ve been meaning to try since he first mentioned it; Alton has a good recipe with a little bit of history, hailing eggnog as “our first health drink” and “patriotic duty,” (patriotic! ); and Science Friday ran a story last year about the microbiology department at Rockefeller University. Not only have they been been making a pretty potent batch for the last 40 years or so, but they also ran a test to see if the booze would actually kill any bacteria that might be present in the raw eggs. And it does. Go science! Streak-plated cultures from an inoculated batch (actually spiked with Salmonella — they are microbiologists, you know) right after mixing result in a veritable field of bacteria. They tested the plates again each week for 3 weeks, and each time there were fewer bacteria. 3 weeks does it. Check out the video below. Those guys know how to throw a good holiday party. I trust the microbiologists. I also trust Alton, who says that as long as your mix contains about 20% alcohol then it should fine. Ruhlman’s happens to be the most potent recipe of the group, so he’s in the clear as far as the booze and the bugs go. I picked a happy medium between the two of them, just a shade stronger than the microbiologists. Apparently it mellows out over the month. We’ll see how it goes. Cheers! This entry was posted in drinks, holiday, recipes, science and tagged aged eggnog, Christmas, drinks, eggnog, eggs, recipe, science. Bookmark the permalink. This looks pretty solid. 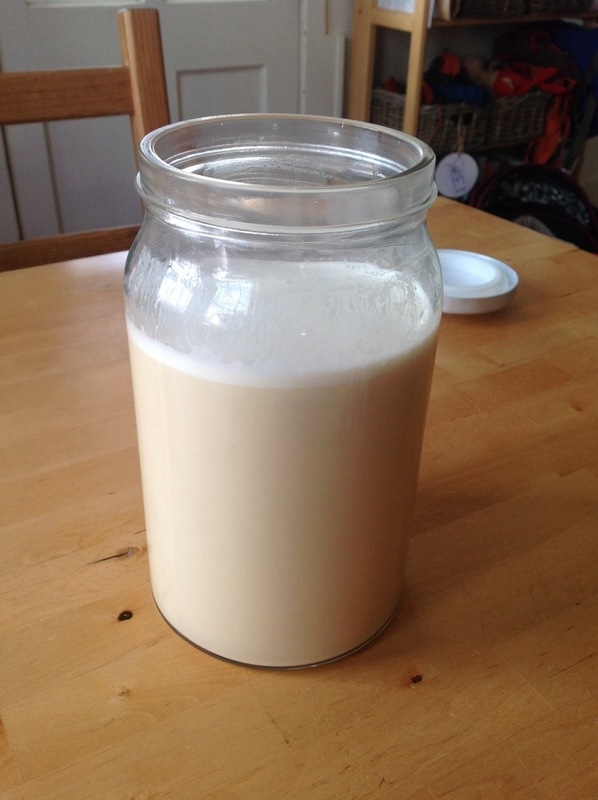 I’m definitely going to give this a shot and since raw milk is legal in my state I may opt for raw milk and cream. Nice. I’d be curious to taste the difference in flavor, how it changes over time relative to the pasteurized dairy. A future study! Holy cow, this looks delicious…and a science experiment to boot! Definitely going to try it for Christmas!